I am fluently bilingual and offer the same quality of service in English and French. If your preference is to have your complete transaction attended to in either language, I have a network of business professionals willing to meet your legal, financial and inspection needs. Il me fera plaisir de vous offrir un service en français! Sorry, no rent properties found. Established Credibility – Accredited Buyer’s Representative and International Real Estate Specialist – Two Designations to Insure the Highest Possible Service. I have completed all the requirements to be designated the Accredited Buyer’s Representative from the National Association of REALTORS. I have years of experience and knowledge working with Buyers and Sellers. I can say with confidence that I’ll get the job done. Relocating to or from Ottawa? Military, RCMP and Federal Government personnel, no detail is too small for me to ensure your transfer be as stress free as possible. As an agent registered with your relocation service, I am familiar with the process and confident in seeing you through with ease. Selling your home in the Ottawa marketplace often yields the desired results but when a little extra marketing push is required, the next step is to market your home Globally through Remax agents worldwide who are experienced with international properties and carry the IRES designation certifying they are experienced in the marketing of your property in their respective countries. I believe that finding your new home or selling your current home in Ottawa should be a pleasant, satisfying experience. Why us as your Ottawa Real Estate Agent? As a full-time real estate in Ottawa, I help my clients find the perfect home for sale in Ottawa. Working closely with my clients has always been my passion and I’m dedicated to using my real estate knowledge to your service. Whether you are buying or selling a home in Ottawa, I’ll be there for you at every step of the process. As a professional with vast experience in real estate in Ottawa and nearby areas, I am confident in my ability to deliver an unmatched service. As buying or selling a home in Ottawa can be challenging and stressful experience, you need an expert by your side. Having a complete understanding of the real estate market in Ottawa and strong negotiation skills, I can crack the best deal for my clients. My hard work combined with my dedication to delivering a great real estate experience has allowed me to remain ahead in the game. The key to my success lies in my personal research of the real estate market in Ottawa as I spend many hours each week personally viewing the properties when they come up for sale. Beat other homebuyers to hottest new homes for sale in Ottawa when working with me!! I care for the people I represent and make every effort possible to exceed their expectations. Using proven marketing plans help me find motivated and qualified buyers fast whenever a home is for sale in Ottawa. I make home selling process easier and hassle-free fetching you the best price possible. Servicing Ottawa, Orleans, Cumberland, Nepean, Kanata, Barrhaven, Gloucester, Riverside South, Stittsville and the surrounding area. No matter if you are selling or buying your home, I will get the job done right the first time. In the least amount of time possible, I will get you the best price on a home that is perfectly suited to your needs and lifestyle, not just today, but for years to come. I believe in aiming for the best service will ultimately lead to the best results for my clients. Buying or Selling Home in Ottawa Just Got Easier! Are you looking to buy or sell a home in Ottawa? If so, you’re at the right place! I have served hundreds of Ottawa home Buyers and Seller just like you. Here you’ll get the latest market insight, the most effective marketing, and a more genuine approach to help make your life’s biggest decisions easier. As the most trustworthy Ottawa real estate agent, I make sure to do my best to negotiate on your behalf and ensure that the offers maximize your home’s inherent value. Buying or selling your home is one of life’s greatest challenges. As the leading real estate agent in Ottawa, I can make this process hassle-free and as pleasant as possible. If you want to sell your Ottawa home or need to buy property in Ottawa, I can help you find the right deals. With the help of the latest tools, technologies, market knowledge, and industry experience, I can offer you strong support with timely information, market data, and deals with the best rates. With years of experience in real estate, I know what separates a good house from a bad one and how to protect my Buyers’ interests above all else. For homeowners looking to sell their Ottawa home, I can help them price their home to sell – for the best value. I possess deep roots in the community, service excellence, and personal commitment which ensure the best real estate representation of my clients. Un très gros merci encore une fois pour tout! Ton experience et professionalisme nous ont été très utile lors de la vente de notre maison. Ce sera un moment que nous n'oublierons jamais! ...thanks for all of your help over the last few months.... I was certainly expecting the search to be a daunting preposition but you made it fun and informative. Your expertise and enthusiasm were appreciated! he found us a qualified buyer in less than a day, and worked with her agent to agree on a price that we were very happy with. Two other homes on our block were listed before ours (one by owner and one with a different agent) and they were both still on the market after ours had cleared all conditions. high level of professionalism, knowledge, integrity and work ethic made buying a new home a very efficient and relatively stress-free experience. We were very impressed by his ready availability to answer questions. We would highly recommend Ray to anyone buying or selling a home! It was great working with you on getting the house. Really appreciate your work ethics. An extremely knowledgeable and all around good person. He is also a fantastic real estate agent! He sold my house for its asking price on the first day of showing. 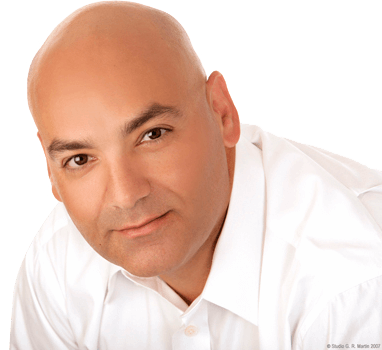 His knowledge of the real estate market in Ottawa combined with great marketing skills and technological savvy make him extremely effective as an agent. Thank you for all of your terrific assistance in finding and purchasing our first home. 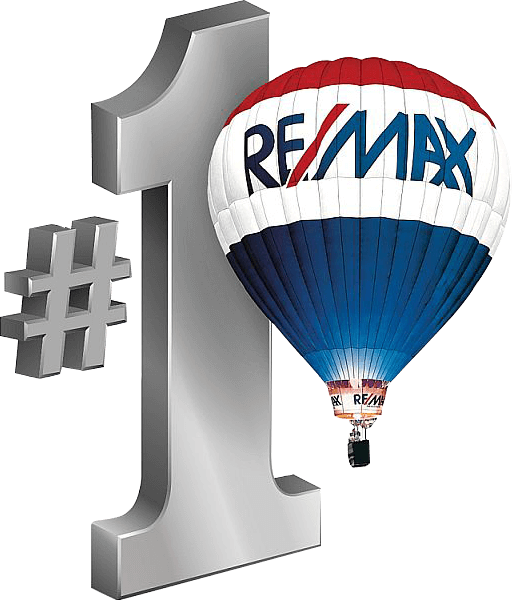 We could not have found a better realtor, and your knowledge of Ottawa's real estate market was a valuable asset. Thanks for all your help. The time and effort you invested helped make our first home purchase a fun and enjoyable time. Thanks for your hard work in selling our home. We will be sure to refer you to our friends in the Ottawa area. Thanks for keeping on top of everything; seriously, I've moved a lot over the years & you really elicite trust & are the most professional/helpful realter I've dealt with. Thanks again! I just wanted to say thank you again for all you did for me. You made my first home purchase very easy and enjoyable. Glad you were on our side and oh yes...... thanks for getting 98.4% of our asking price in 30 days(or just about)!!!!!!!! Please accept our heartfelt thanks. We greatly appreciated your assistance with the sale of our house. We have dealt with a number of real estate agents over the last fourty years. From our experience with you, it is evident why you are one of the top-rated agents in the region. Thanks again for all your help in buying our new home and selling the old one. I would never buy or sell a house without a real estate agent (don't know how private sellers do it...) and that agent would have to be you. Ray, we really appreciated your honest opinions, prompt responses and guidance for both the purchase and the sale of our home. Having you leading the way made us more comfortable and helped us to better understand each step of the process. Thanks! ...walked me through each step of the process and was always ready to answer my questions. I thought your service was excellent. Thanks again Ray. We are settling in our new home. It is wonderful, thanks again for all your help and patience. Thanks again for everything Ray! You have made first time homebuying an enjoyable experience. We also wanted to take this opportunity to thank you for your insights in to the Ottawa market and for the time you spent with us. Thanks for all your long hours & hard work on finding the perfect home. I know that we will be happy with our choice, in large measure to your advice & assistance. Your professionalism, friendliness and constant support (including your prompt replies to our phone calls and emails) were invaluable to us and helped us get through the stressful moments. Thank-you Ray! Thank you for all your help. You made buying a home a lot easier for us considering the lack of knowledge we had on the subject. If anyone I know is looking to buy a home I will forward your name to them because you are great at what you do. Thank you Ray, for all the time and patience that you took with us to find our "perfect" condo. Your professionalism and advice was greatly appreciated. We certainly won't hesitate to recommend you to our family and friends. We love our new condo and plan to stay here for many, many years. Thank you so very much for the sale of this house and the buy of our new house. You really know your clients and are good at what you do!!! Thanks again Ray for all your help. Considering I called you on Tuesday you did a heck of a job. This was a fast one, and I am glad you stepped up to the plate to help us out. I appreciate your advise. You really helped me out with the sale. Thank you Ray! Your friendliness and dedication was refreshing in a world where customer service is not always apparent. You really knew how to set our minds at ease with the time consuming process of buying and selling a house. Ray's wealth of knowledge, combined with a sincere dedication to his clients, proved invaluable to us throughout the home buying process. He took the time to understand what we were looking for and tailored his service to meet our specific needs. In the end, his expertise and excellent advice gave us the edge we needed to obtain the home we wanted. We wouldn't hesitate to recommend him to anyone we know. It was so comfortable having you as our real estate agent. We felt absolutely no pressure at all. We will recommend you to anyone we know that's in the market for a home in the Ottawa area. I would like to thank you once more for providing us with excellent service. Be assured that we will recommend you to our friends when they are in need for a realtor. I am superglad to have you on my side! We found Ray to be very friendly and easy to talk to. Right from the very first day we felt very comfortable expressing to him our needs and wants. We wanted to thank you for making our home buying experience a truly wonderful experience. I have dealt with other real estate agents before and their service pales in comparison to yours. He was always available and able to accommodate my very busy schedule, very prompt with emails and phone calls, and seemed to intuitively know what I was looking for. He was extremely pleasant, and truly surprised me with the amount of knowledge he had about all the homes we viewed. He seems to love his job very much & will go the extra mile for his client. I would definitely recommend his services and return to him should I be in the process of buying again. You made the whole process run very smoothly. In short, excellent service. We can't thank you enough, Ray you have definitely outperformed any real estate agent we have known or dealt with. The service you provide your clients is outstanding. We will be recommending you to anybody we know who will be looking for a real estate agent. We will definetely be dealing with you again should we deceide to sell or buy. You won't be forgotten! Your a great agent always quick - Johnny on the spot! Michael, Sarah and I would like to take this opportunity to thank you so much for all the hard work you did for us. I remember the first time Sarah talked to you on the phone, she said "Mom he's so nice and pleasant - can't wait to meet him." I must say Sarah was right, you were pleasant, patient and really helpful throughout. It is definitely well worth the effort of cleaning and repairing your home in order to be sure of making a faster home sale in Ottawa at your desired asking price. This is because first impressions are very important – you want potential buyers to be attracted to your property right from the start. In our experience the homes that sell fastest and most easily are always those that appear to have been well looked after. For this reason it is very important to take a long and critical look at your property and try to spruce it up as much as possible prior to inviting potential buyers to come and look. Buying a home or other real estate in Ottawa is probably one of the largest financial transactions you are ever likely to make - which is why you want to be absolutely certain of getting all the details right.